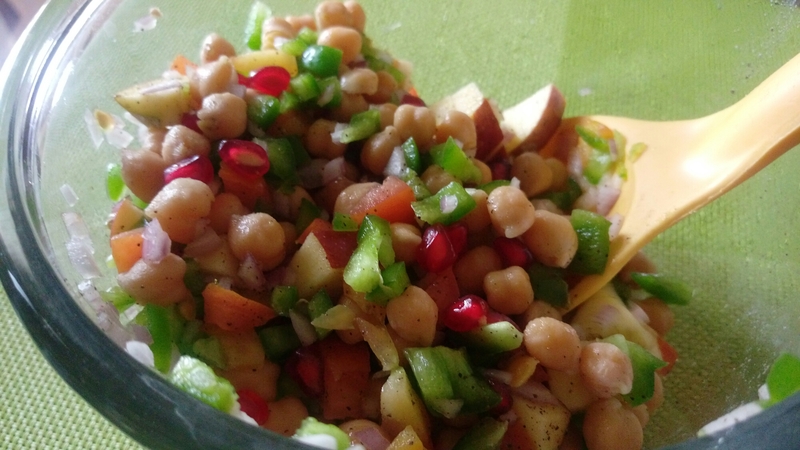 ​Being working most of us are always on a lookout for quick fix for morning breakfast or an evening snacks.When ever you plan to cook cholle ( chickpeas) always add some extra quantity while soaking the chickpeas stock.else soak and boil 1/2 a bowl of chickpeas for this salad. # 1 bowl boiled and strained Chickpeas. 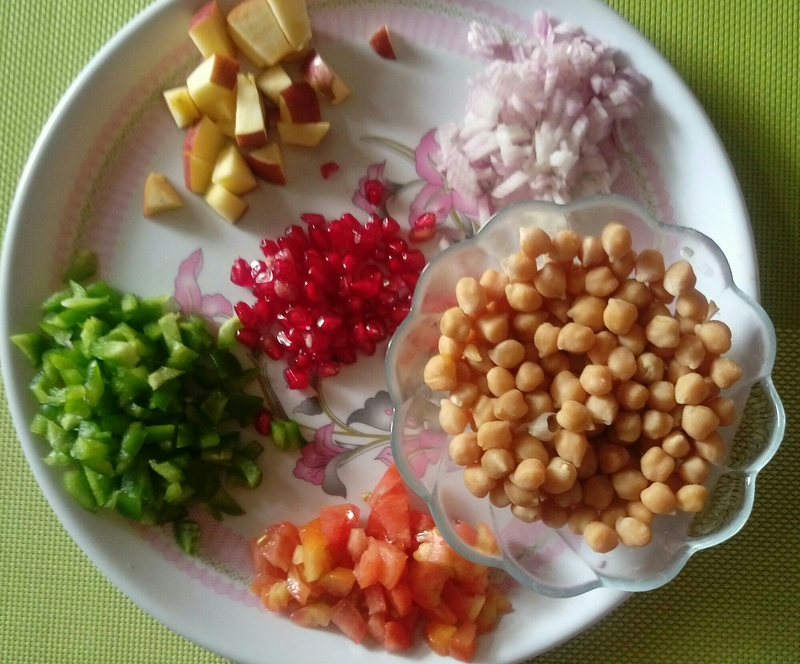 # finely chopped half a onion , 1 tomato , 1 capsicum and 1 green chilli ( optional). Half lemon / 1 spoon lemon juice. # half a pomegranate and apple cut in pieces. # Salt, chat masala and black pepper powder. Spices : Salt, chat masala and black pepper powder. Preparation : just mix all the ingredients in a bowl and toss. Your salad is ready. Isn’t is really quick, healthy and oil free. Also a easy way to consume those veggies and fruits.